Forest Of Dean based Equi Est Menage Surface /Arena Construction specialists is run by Simon Pengelly who has over 10 year’s experience in both private and commercial landscaping and studied for 4 years at Hartpury & Pershore College in commercial horticulture, amenity horticulture and grounds maintenance, landscape design and construction, sports turf construction and maintenance. Based in Gloucestershire, the business also provides specialist equine services in the Cotswolds, Monmouthshire and Herefordshire in both private and professional use. Mushroom Internet were approached by Simon to re-design his website as he launched his new product, Pro-Ex Fibre to market. We worked with Simon to produce a website where his customers testimonials were given visual priority whilst still maintaining all of the information of his old site; all in a modern, fresh and mobile responsive platform. Simon’s website is now powered by WordPress, giving him all of the power and flexibility to edit and maintain the website himself with our easy to use drag and drop interface. 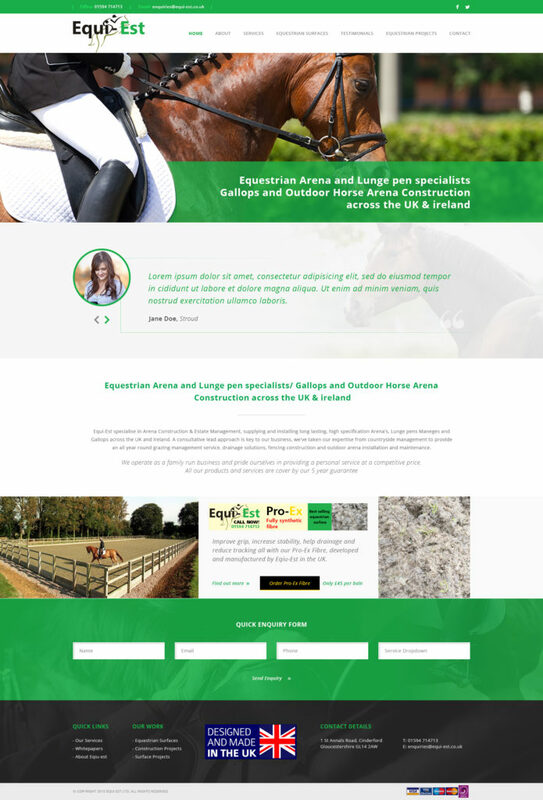 The digital marketing team have been working on the new Equi-est site in 2017, including adding regular content updates to the revamped blog section. Our team have built a wider audience on social media and engaged with many potential clients. PPC (paid adverts) were set up when the results of data gained from an analysis of Equi-est’s competitors showed that when the campaigns started the company’s online presence was lower than desired.